MIRACL guarantees the identity integrity of the people, apps and things needed to run a digital business. Fortify your mobile app with self-protection, authentication and rogue app takedown. mSIGNIA offers mobile authentication and user-device recognition solutions. Complete vendor-independent key management solution. 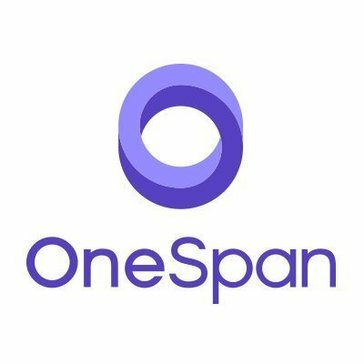 OneSpan Mobile Authenticator generates one-time passwords with just a touch enabling your users to securely log on to their applications. Mobile Authenticator supports additional PIN protection, fingerprint recognition, FaceID, and device binding capabilities to ensure the highest level of security. PasswordWrench technologies allow any website to offer 2FA without asking their customers to install a mobile application, and without the need to send a text message (SMS). Also, there is no digital PIN devices associated with PasswordWrench 2FA. The solution works by using Password Cards that can be downloaded and/or printed to fit in a wallet. PixelPin is a non-biometric, non-password, software solution that enables users to login using a personal picture and selecting 4 points in a sequence on the image. PixelPin’s innovative solution uses a picture instead of a PIN or password to log in. Upon successful integration, it can be used to log in to any application or system, and works on any device using a touch screen or mouse. The users upload one of their favourite pictures, choose four points on it and that will be their login. Simple! Pictures are memorable, personal and most of all provide an almost infinite number of combinations which makes your account safer that it has ever been. privacyIDEA is a modular authentication server that can be used to enhance the security of your existing applications like local login, VPN, remote access, SSH connections, access to web sites or web portals with two factor authentication. Originally it was used for OTP (One Time Password) authentication devices – being an OTP server. But other “devices” like challenge response, U2F, Yubikeys, SSH keys and x509 certificates are also available. It runs on Linux and is completely Open Source, licensed under the AGPLv3. Privakey Cloud uses the OpenID Connect framework and behaves much like a social login, making it easy to enable for websites, online services, and apps. Public Key Infrastructure (PKI) solves the problem of enabling trust across digital networks and transactions by attesting the integrity of the data and the authenticity of participants. PKI is a powerful technology to manage the life-cycle (create, distribute, use, store, and revoke) of digital certificates and public key encryption. Randtronics DPM Database Manager is designed to protect column level data in database. Randtronics DPM Key Manager provides centralized key lifecycle management for Randtronics and non Randtronics encryption products. DPM Token Manager is a high performance tokenization engine and web front end console. RealValidation offers API for phone numbers, address and email verification. REVE Secure helps to render machine learning based two-factor authentication to end users and enterprises to enhance the security of their accounts and servers. RingCaptcha offers phone 2FA, OTP, SMS, voice API to help companies verify, engage, and retain end-users - 'Real Users, Real Contact'. With RingCaptcha, you integrate once with us and gain access to the best routes for sending OTP or SMS notifications reliably through Twilio, MessageBird, Infobip, Nexmo, etc., RingCaptcha builds additional security and reliability layer on top of all global and regional OTP & SMS providers to mitigate against fraud using machine-learning, and reliably send OTPs and SMS notifications through best routes chosen based-on real-time data, as well as auto-resend through alternative routes to further increase reliability. With our OTP & SMS marketplace, you get the best price with no provider lock-in. Best of all integration is a breeze - just cut-and-paste some code or call our single REST API endpoint. Rohos Logon Key is a computer security software that secures Windows infrastructure and saves budgets. Screen6 is a provider of cross-device user identification to the advertising industry. Search Guard can be used to secure your Elasticsearch cluster by working with different industry standard authentication techniques, like Kerberos, LDAP/Active Directory, JSON web tokens, TLS certificates and Proxy authentication/SSO. Secfense is deployed in between your users and applications they access. It learns the traffic patterns related to authentication. It can then enforce multi-factor authentication logon and other sensitive actions without interfering with applications existing code or database. SecSign is a two-factor user authentication solution. SecurePass unified identity contol across mobile, cloud and datacenter. SMSPassword allows secure two-factor authentication. SocialSign enables businesses to leverage their guest WiFi to learn about visitors and build relationships with customers. 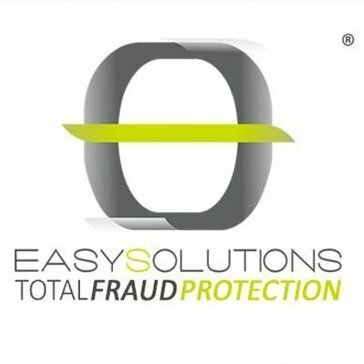 SolidPass is a authentication solution that protects enterprises and their customers from fraud, digital attacks, and information theft through advanced security software. Specops Authentication is a Group Policy driven multi-factor authentication to Office 365 (O365), federated Single Sign-On (SSO), real-time user provisioning, and automated licensing all from a single solution. Specops Authentication for O365 is the ideal solution for organizations that need a simple approach to O365 user management and authentication. It uses existing Group Policy configurations for on-demand O365 user provisioning, and license assignment. Combining encryption, tokenization, strong-authentication, cryptographic module, high-availability and an open-source licensing model, the latest edition of StrongAuth's flagship solution provides data-protection unlike any other product on the market. The StrongAuth PKIAppliance is an integrated appliance for the management of large-scale public key infrastructures to enable strong-authentication and data-protection with X.509 digital certificates. SUBROSA supports true multifactor authentication (MFA), enabling accounts to be protected with a knowledge factor credential and any combination of possession, human inherence (biometric), machine inherence and location factors. Symantec Certificate Lifecycle Platform (CLP) delivers end-to-end control for governments and other large institutions that cannot outsource any aspect of their PKI operation. ThumbSignIn Authentication solutions allow you to easily enable strong authentication for your Mobile apps, Web sites, Windows PCs and IOT devices. Touch N Go is a Biometric Framework (SDK or API) that allows programmers to integrate fingerprint recognition in application with FOUR lines of code. TrustBuilder is an authentication software that offers dual factor authentication, adaptive access control, and transaction signing. We are a security authentication platform offering various methods of two factor authentication for enterprises and developers. We offer both FREE and paid solutions. Our products are super simple to integrate and we have a wide range of solutions for you to work with. Visit www.twizo.com/products/verification for a full breakdown of the features available via all of the below services. * Twizo Authenticator * Messaging Clients * Bio Voice * SMS * Voice Call * Backup Codes * Widget We aim to make security more accessible and more readily available so that service providers, users and everyones critical data is better protected. Twizo makes online security simple through easy integration and a variety of authentication solutions. We serve customers globally allowing them to scale their businesses while we worry about their security. Utimaco lawful interception and data retention systems ensure that you, as a telecommunications provider, are in compliance with the numerous national laws and regulations worldwide. Vanguard Authenticator is a identity management software that is scalable, modular and integrated authentication solution that enables enterprises to control authentication and authorization to their enterprise. VeridiumID is a software-only platform for biometric authentication that works in conjunction with a front-end mobile SDK that allows you to embed biometrics into your company's mobile app. V-Key is a software-based digital security. 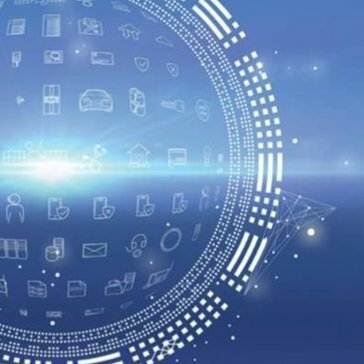 The growing need for secure mobile solutions by banks, governments, and enterprises as they digitalize their offerings for the new digital economy.